Estelle McDonald of Catalina has been missing since April 3. Photo: South Coast Police District Facebook. 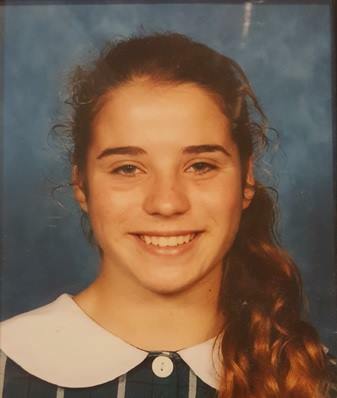 South Coast Police are hoping the community might be able to help them find a Batemans Bay girl missing for almost two weeks. Estelle McDonald of Catalina is 17 years old and was last seen at around 5 pm on Wednesday, April 3 at the Batehaven shops. Police say she told her father that she was going to use the public toilets before heading home. She did not come home that evening. She has not been seen or spoken to by her family since. Estelle is caucasian, 155 – 160cm tall, with dark hair and medium build. Officers from the South Coast Police District used Facebook earlier this evening (April 15) to raise the alarm. Community members have responded with words of support, shares, and prayers. “Hope you’re ok beautiful please make contact with 1 of us so we know you’re safe.” Sandy McDiarmid says. Anyone with information is asked to call Batemans Bay Police on 4472 0099 or Crime Stoppers on 1800 333 000.